Whether you’re looking to embrace a little more colour in your home or simply love strikingly unique wall art then this beautiful Live & Grow Screen Print is for you. 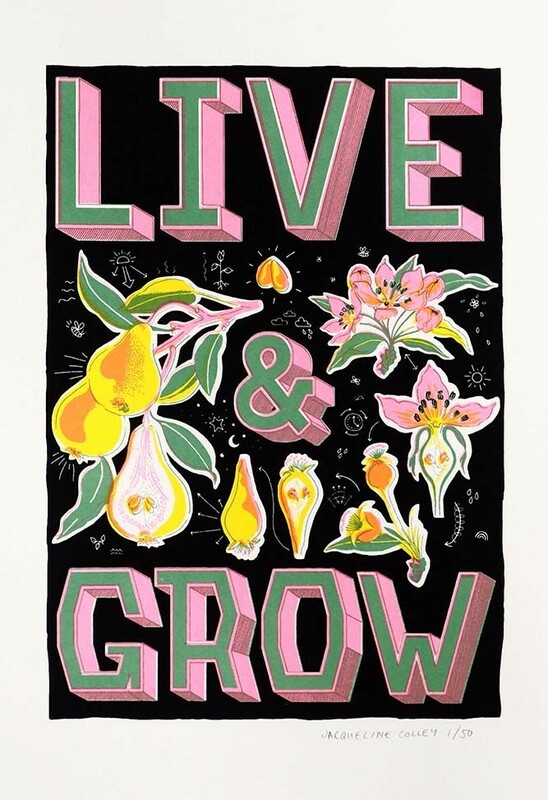 Set against a dark background the Live & Grow Artwork is hand screen printed at Print Club London only using four colours - Pastel Neon Pink, Acid Yellow, Clover Green and Black. 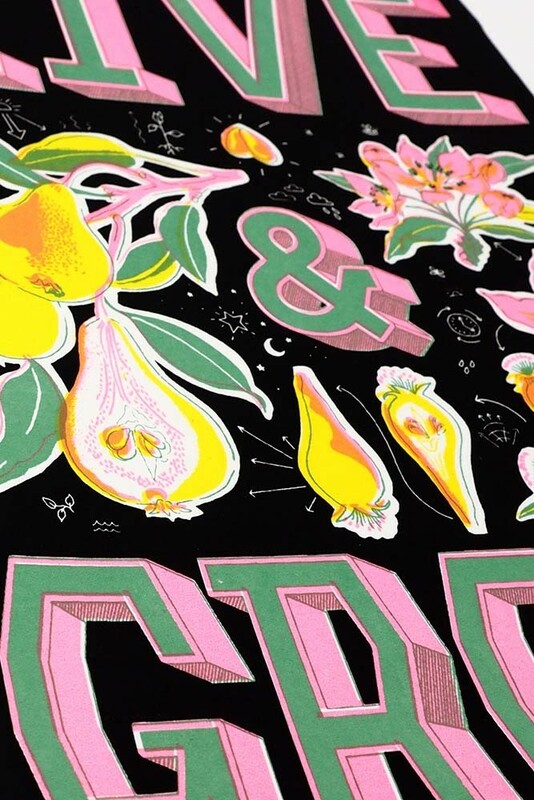 A limited edition print the Live & Grow art print is a delightfully detailed piece with motifs of pears, flowers and fruit. 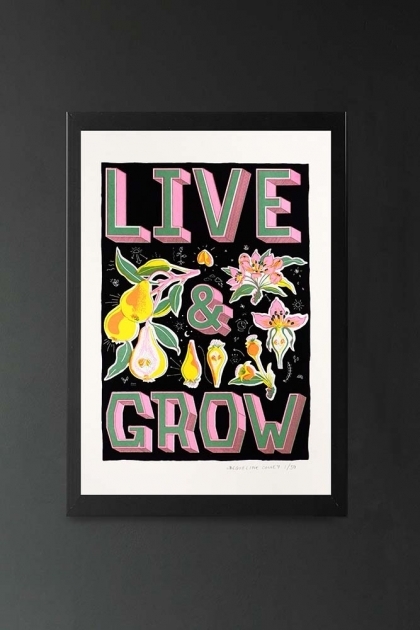 Utterly unique and a little bit quirky, the Limited Edition Live & Grow Screen Print could be hung as part of your picture or gallery wall or alternatively on its own in full glory in your living rooms, bedrooms, hallways, kitchens and bathrooms. A lovely piece that is part of our affordable art range, the Limited Edition Live & Grow Screen Print would make a wonderful gift.